Today I am sharing my kitchen. that this space went through. and falling off their hinges. The floors were also terracotta. We spend a lot of time living in this room. at your house too, right? Thanks, Alison. You know I am ready any time to pack my bags and move in. I am sure y'all enjoyed Alison's beautiful kitchen. If her blog is new to you please pop over there for a visit. Well, you may be there longer than that so get comfy first. Hard to believe it used to be a barn! Beautiful is all I can say! Thanks Alison for sharing your beautiful kitchen, I will be stopping by for a visit, it will be the first time @ your blog. I've always loved her kitchen. It is soooooo pretty! Every detail has been thought of. It is truly magazine worthy! Her home is beautiful!!!! !Thank you so much for sharing! Thank you Alison! 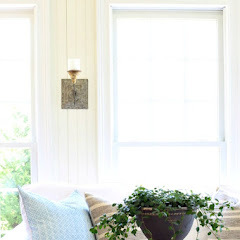 Your home is gorgeous and I have loved your kitchen since the first time I saw it! Oh Alison's kitchen is amazing! I love her floors, and that chande over the island is so unique! OMG!!! What a gorgeous kitchen! ...Thanks for sharing it Alison and Kim! What a beautiful kitchen! It looks like my dream kitchen. Thanks for sharing it! What a beautiful kitchen! And of course, the kitties are adorable. I've been following Alison's blog for awhile now. I think hers was one of the first I started reading. Thanks for sharing! Kim, What a great person to feature...Alison's home is beyond gorgeous..I just cannot imagine living in such a beautiful place. I just love seeing all the wonderful things that she does to her home...she is a terrific designer..I am such a fan of hers...and her grounds are as gorgeous as her home...I never tire of seeing that beautiful large kitchen of hers..that island is to die for, seriously!...Thanks for featuring her favorite room! 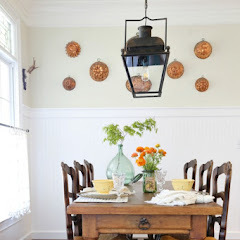 Alison...you know how much I just love your home and your beautiful decorating style!!.. Have a wonderful weekend Kim and Alison! What a beautiful kitchen you've created, and how cool that your home used to be a barn! Great feature Kim! Not only is her kitchen one of my absolute favorites, but Alison is such a sweet person! I love her blog! Thanks for sharing! Alison's kitchen is beyond gorgeous. It would be my favorite room too. Every detail and vignette makes me want a color look. The only words that come to mind "WoW and beautiful" and I love the brown and white transferware! Alison's kitchen is my dream kitchen. It is gorgeous! What a gorgeous kitchen! I totally love everything about it!! One of my alltime favorite kitchens, just gorgeous, Alison. LOVE those chairbacks!! Alison's kitchen is stunning just like the rest of her home!! I love everything about it! Fabulous feature Kim! What a gorgeous space with such an interesting past! Thanks for the tour! I have always LOVED Alison's style...and her kitchen is a dream! Thanks again for the treat Kim. Such a luvly room. Alison, your kitchen and i am sure the rest of your home is simply gorgeous.Thanks for letting me pop by. Cheers, ladies. Have a wonderful weekend. What a gorgeous room. The rest of the house looks simply beautiful, too. This kitchen is so beautiful especially the hardwood floors. Thanks for sharing. Alison's kitchen is just so beautiful, Kim! Thank you so much for hosting these visits to people's favorite rooms. Wishing you a lovely weekend. Have always loved Alison's kitchen and her blog is one on my "must read" list! Oh! Such a lovely kitchen! Congratulations Alison! I'll visit you, I want to see the rest of your house. A big kiss Kim and thank you, great choice! as all you are making for this section. 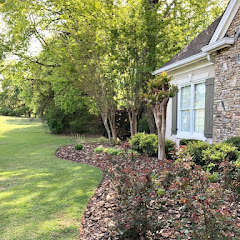 Kim - Thanks for sharing this beautiful home!! Kim, this was an awesome feature! Alison's home has long been one of my favorites! Thanks for sharing; and have a great weekend! I'm so glad you chose to feature Alison's favorite space as her kitchen is one of my favorites! 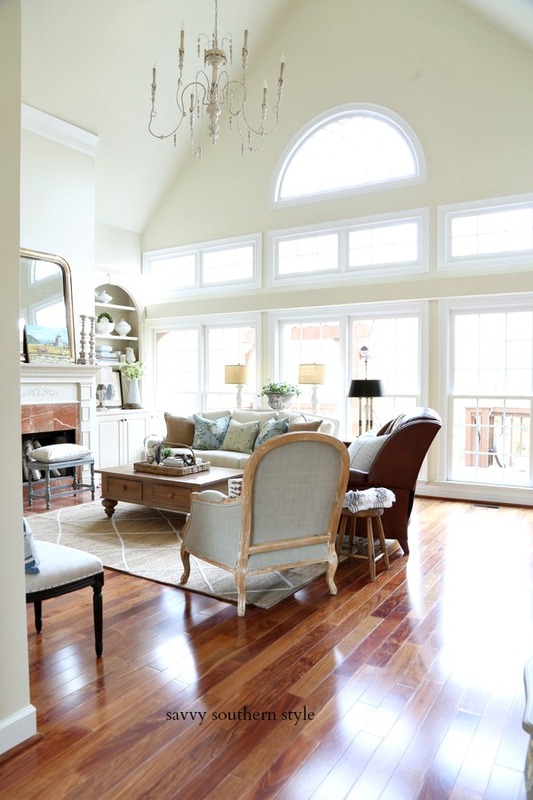 Alison, you truly have a gift for creating such a warm, inviting and drool-worthy space! 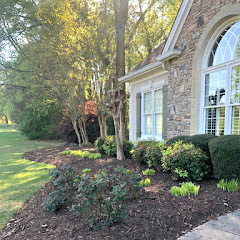 I love all of your vignettes and even more, love the history your stunning home has! Thanks for sharing, Kim! Kim this new series is GREAT!!! Alison's kitchen is remarkable. Kim, thanks for the introduction! Wow. I am so in love with that kitchen, I want to move in. It is so warm, so welcoming, so beautiful.. Now, off to visit Alison. Have a great weekend. Oh my! I'm in heaven. This is so my style. I wish I could pull this together in my house! It's timeless, no trendy, just beautiful. Thank you for sharing Kim. I'm going to check out Alison's blog. Alison, what a beautiful kitchen you have! I love your home and its history. What a dream it would be to cook in this kitchen! I always enjoy seeing Alison's beautiful "to die for" kitchen! 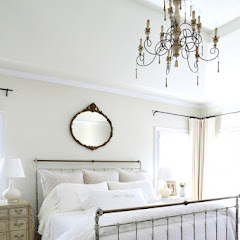 Kim, Thanks for sharing this beautiful room and Alison's blog. I am loving that light fixture over the island. Perfect. I've seen lots of your spaces Alison, and I don't know if I could pick a favorite room. But it's easy to see the kitchen is the heart of your home and lovely. I think you and Kim have similar tastes and styles, both beautiful. Thank you, Kim and Alison, for sharing. Now that is definitely a room to love. Stunning! Her house is gorgeous, Kim. I am glad to catch up with her again. A gorgeous kitchen, Alison! I can see how you would love spending time in this space. I love how open it is and all the touches you've added, both functional and the decorative accessories. it is so much work to get to that point isn't it? we just refinished our original hardwoods..just two small rooms and wow! What a fabulous kitchen. You did an amazing job,I love it! I think Alison has one of the prettiest kitchens ever! She has exceptional taste and great collections! I am so late in responding to this --- have been out of town on a buying trip for two days and without a computer! Thanks so much for allowing me to take part in this fun guest post series! You are such a great friend. Kim. Your kitchen is so beautiful, I can see why it would be your favorite room. Is that marble cutting boards on your island? So love the home and area. Wish I could move back to Illinois and purchase your home. But alas that’s not possible, so I’ll continue to drool over your fabulous home and dream .